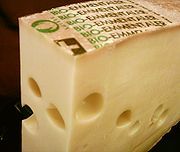 that I like to have on hand (Cheddar, Jack, Gouda, to name a few), and really care about the flavor and texture of those cheeses. These cheeses make up a very important part of my regular diet, and having to go without them would not only cause me and mine to feel the lack of something, but our bodies would probably quickly notice it, and our digestion would likely suffer. An important piece of any Bug out Kit is a way to make a whole lot of noise. You need some way to create some attention-getting noise that can really travel the distance. This tool is a way to get the attention of a search party if you are lost or injured, as well as a way of helping find somebody who is lost. But all whistles are not created equal. Some are bulky, some are tiny, some have Pea’s, some don’t. How do you know which you should get? Well, I was recently pointed to a site via edcforums to an excellent PSK whistle review (PSK). Go check it out before you buy your whistle, it’ll help in selecting. 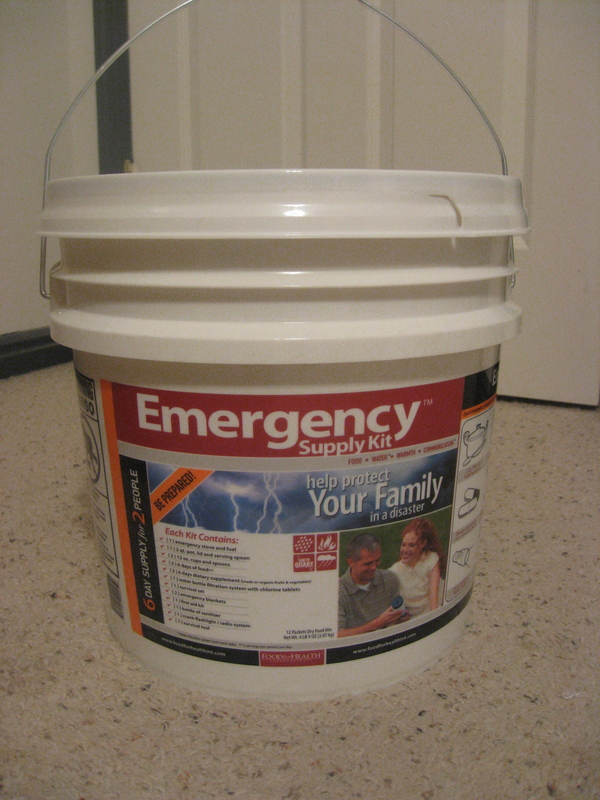 A local friend of mine recently posted his notes about creating a set of emergency bags (BOB – 72 Hour Kit) for his family. It’s great to see a friend getting his family so ready, and even better when they can share such excellent information. In his example, I think he does a great job of presenting how he will get his young sons to carry a small part of their own gear, without overtaxing them. I know all younger families like myself worry about how to ‘carry enough’ for the younger children, and this example shows great thought in dealing with that concern. Check out the Lances BOB setup. Several pictures showing all the included gear, in and out of the bags. In the recent Costco mailer, some friends and I all noticed that a “72-hour” kit that Costco carries had a limited time online discount available. The $60 kit was/is available for a limited time for $40 with shipping (Costco 72 hour kit sale), so I decided to check it out. 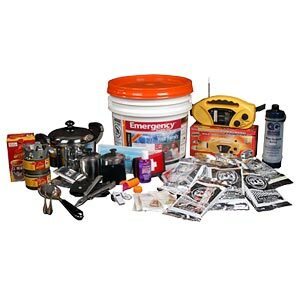 One more 72 hour kit could be good for my family, and if it was nice, would make a great gift to give to some family members and friends. with the thinner lip that’s left after the protective strip is removed. So you don’t need a bucket tool to open this thing, but you will need some kind of knife or tool to release the first seal. I had to cut that part open. The bucket itself contains a listing of contents, as well as basic nutritional information for the food inside, which is nice to have available. However for this review I wanted to actually get my hands on what was inside, to see the quality, etc. 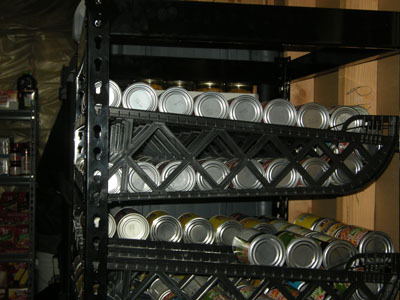 One thing that every prepper quickly learns is that several hundred, or a couple thousand as the case may be, cans of food takes up a LOT of space and create a rotation management mess! Unless you’re keeping those cans shrink wrapped in a case (thank you case lot sales), a shelf full of cans quickly becomes a garbled mess of who knows what in which spot – that part could actually be a personal situation caused by having 8 kids rooting around in the cans for something good to eat though. 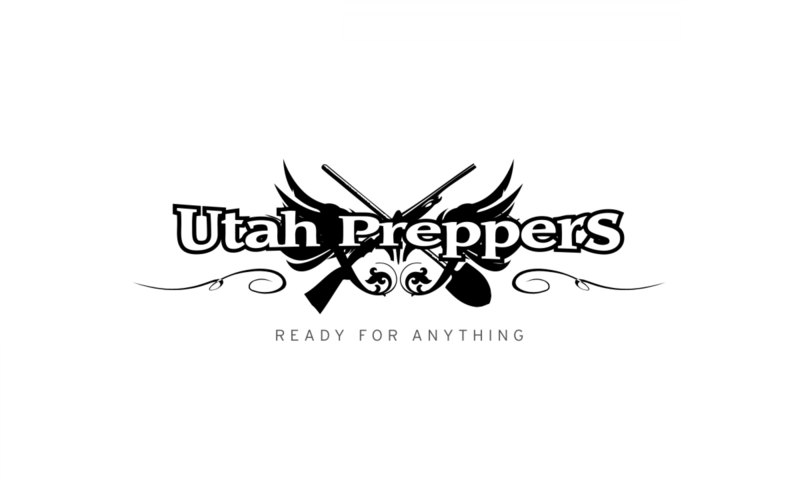 The point is though that a good prepper has tons of cans of food and they can become cumbersome. 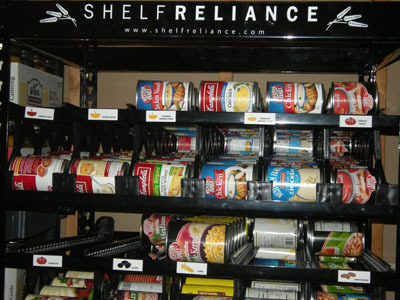 Enter the Shelf Reliance Food Rotation System – or the Caninator as I call it. This puppy is able to manage several hundred cans for you, making it so you don’t need to think about rotation or organization too much. Here’s how we use it: wrapped cases of cans are stored on shelves and are generally not touched. Open cases are loaded into the caninator and when a can is needed for cooking, we grab one from there. Can slots are allowed to run down (as you can see) and when they are low enough, a new case is opened and loaded in. This unit is the Pantry 72″ model which I believe we picked up at Sam’s Club for around $250 some time back. The Caninator features a double shelf rolling system. You load a can on the upper shelf and it rolls down to the bottom shelf from which you can retrieve it. The loading system makes it naturally rotate your cans and also makes it very easy to inventory so you can restock what’s been used. The frame is made of the same material and is assembled in the same way as a metal shelving system. 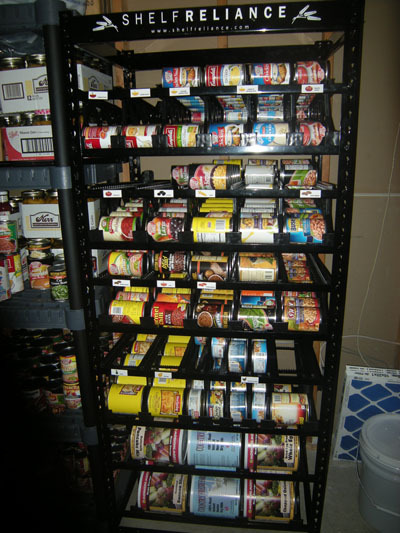 The can roller shelves are made of plastic and their width is completely adjustable. You can order additional can roller shelves online or go to their storefront and purchase them in person at 810 N 2800 W in Lindon just west of the freeway at the American Fork/Pleasant Grove exit or call them at 877-743-5373. It does take some time to assemble the unit, but once you’re done, it’s done. I highly recommend this product! Once we set it up, we were able to empty two full shelves out of pantry – it is an investment well worth the money! The other small benefit is that my younger kids love to put cans in and see how far they’ll drop. We are currently planning on getting another Caninator to keep our existing one company and to clear out some more room.